Mid St. Louis County is unique in that it is the only area in St. Louis that has a golf course as a historic place. Actually, it has three historic golf courses! The clubhouse of the Norwood Hills Country Club is on the National Register of Historic Places. Glen Echo Country Club was built in 1901 which makes it the oldest private golf course west of the Mississippi River and was the site of 1904 Olympic golf competitions, the one and only time golf was in the Olympics. Normandie Golf Club was also built in 1901, which makes it the oldest public golf course west of the Mississippi River. Another unique spot is the Walk of Fame located in the Loop in University City. 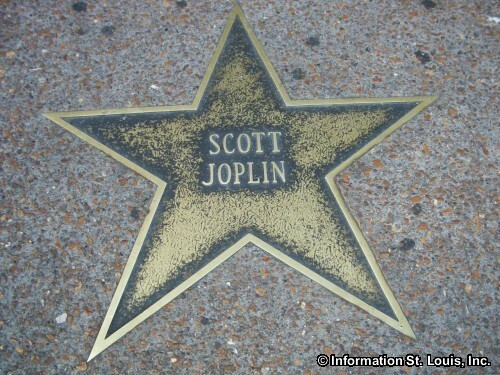 Brass stars, with the names of historically important St. Louisians, are embedded in the sidewalk. Below is a list of other historic places that can be visited in Mid St. Louis County. Spend an enjoyable afternoon visiting one or plot out an entire day of historic places to visit! Some are free, others charge an admission fee and still others are private and can only be viewed from the street or by the owner's permission (please be courteous!). Enjoy! We did!